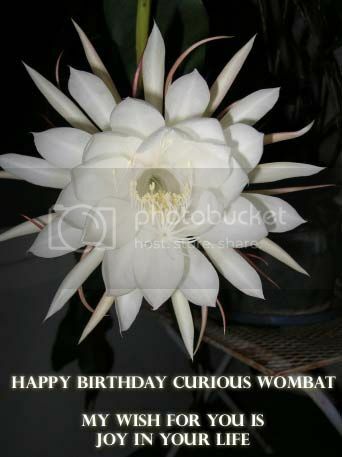 For you, my friend and gardener, I chose a night blooming Cereus flower. I hope your birthday lives up to your childhood dreams and that you have a phenomenal next year of your life. Thank you so much - I think I have lived beyond anything my childhood could have imagined!